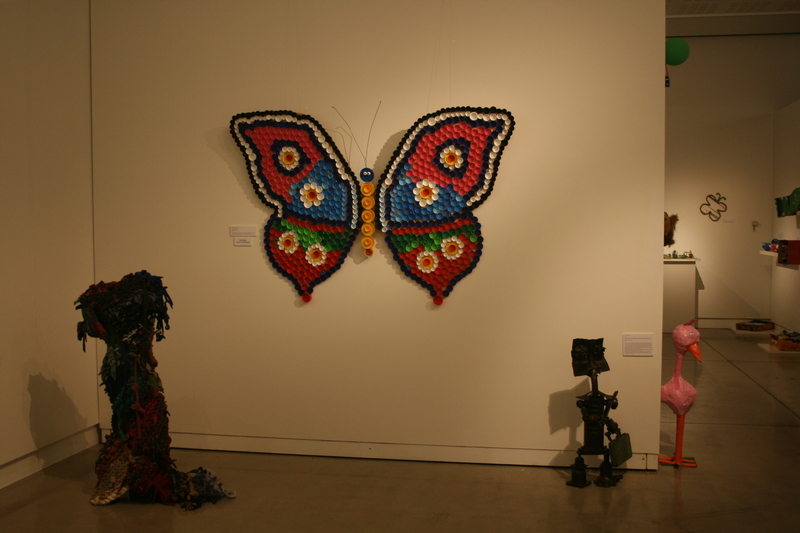 Waste to Art is an annual art competition held in various regions throughout NSW, and is designed to encourage artists and visitors recycling, upcycling, and finding new ways to appreciate and use ‘rubbish’. It includes artworks from children, youth, community members, individuals, and professionals. Works on an environmental theme are encouraged, and all pieces must be made of ‘waste’. 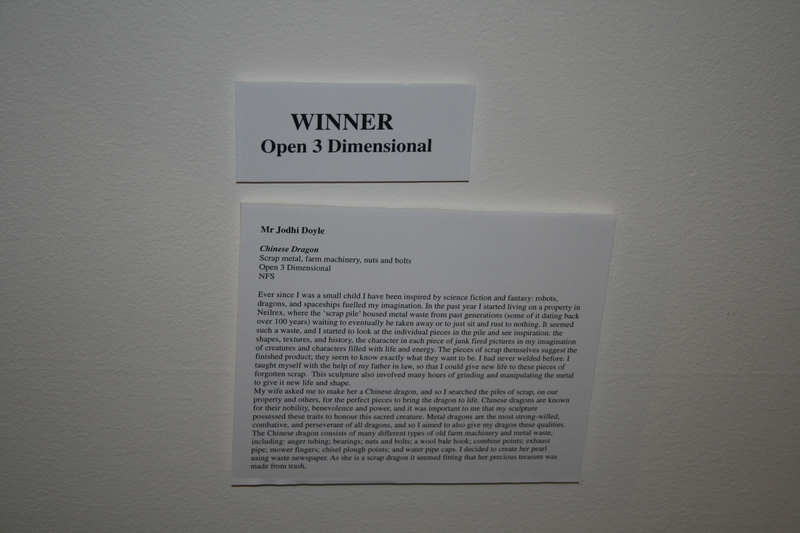 As I was living in Neilrex, I was eligible to enter the Dubbo competition, and decided to enter two pieces. My first exhibition! I entered Digga into the individual section. I decided to enter Chinese Dragon into the Professional Section. 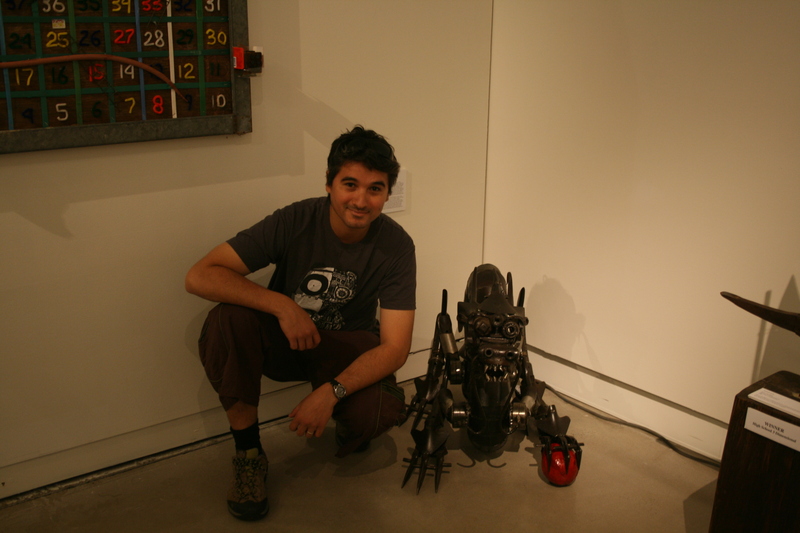 As it was my second sculpture, I felt a little audacious entering it into this category, but I hoped it would be seen as suitable. I attended the launch on the 24th of November at the Western Plains Cultural Centre, and was over the moon to be announced the winner of the Professional Category for Chinese Dragon. My first art prize! 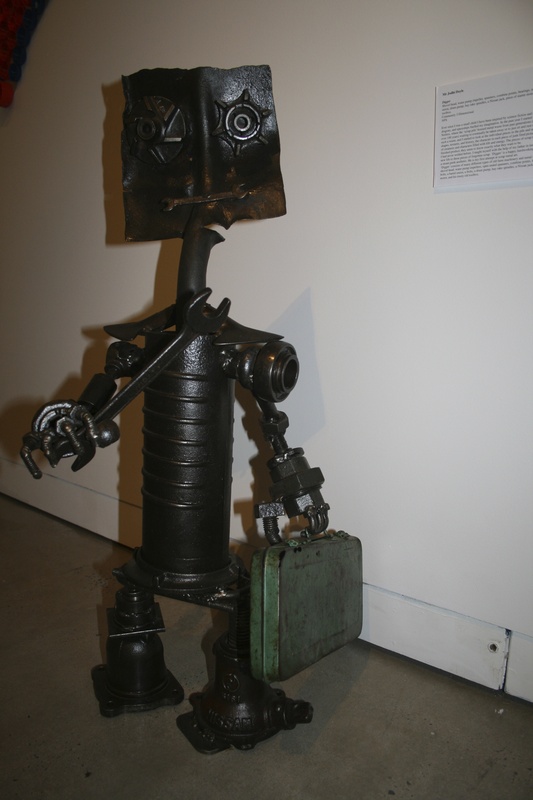 It will now tour to Bourke for the NSW state finals of the Waste to Art competition. This entry was posted in Completed Work, Prizes and Exhibitions and tagged awards, Chinese Dragon, Digga, learning, Neilrex, Waste to Art. Bookmark the permalink.